After a close Wisconsin election, conservative operatives made plans for “messaging ‘widespread reports of election fraud.’” Now Trump peddles a similar line. The first great electoral challenge to Governor Scott Walker’s assault on labor rights, public education, and public services in Wisconsin came in an April 2011 state Supreme Court race. Incumbent Justice David Prosser, a former Republican legislator who had mentored Walker when both served in the legislature, faced an unexpectedly robust challenge from state Assistant Attorney General JoAnne Kloppenburg, who argued that the state’s highest court needed to be independent from the governor. The officially nonpartisan race divided the state. Walker’s Republicans and conservative donors rushed to defend Prosser, while labor activists and many Democrats backed his challenger. A lot of Wisconsinites approved. After a long night of vote counting on April 5 and April 6, preliminary results gave Kloppenburg a 204-vote lead over Prosser. Walker allies jumped into action. 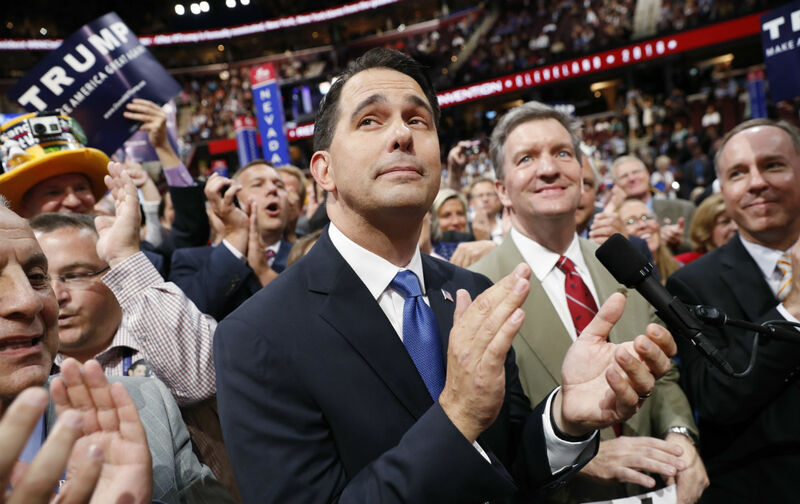 Among the 1,500 pages of documents from a John Doe inquiry into allegations of illegal campaign activity by Walker and his associates, which were obtained and published by the The Guardian, was a flurry of e-mails regarding the Prosser-Kloppenburg race. The basic premise outlined before the election was that keeping Prosser on the court was essential: “And if we lose him, the Walker agenda is toast,” read one message. The Walker allies talked about how to assemble a team and raise resources to challenge the initial result in what was expected to be an arduous recount. But they weren’t just interested in the actual recount—a long and highly controversial process that would eventually keep Prosser as part of the high court’s Walker-friendly conservative majority. They were interested in shaping public opinion. But there were no “widespread reports of election fraud” on the part of Kloppenburg or her supporters. It was just a “messaging” strategy. There was no reason to suggest that crowds of voters had cast ballots illegally or that the voting process should be distrusted—or discredited. Richard L. Hasen, the Chancellor’s Professor of Law at the University of California–Irvine School of Law, who is a nationally respected expert on voting issues, highlighted the exchange in his popular Election Law Blog. That’s not a legitimate concern.